We once lived in an era where giant corporations dominated fancy restaurants and big franchises that seemed to run by corporate people with suits and ties or renowned chefs. 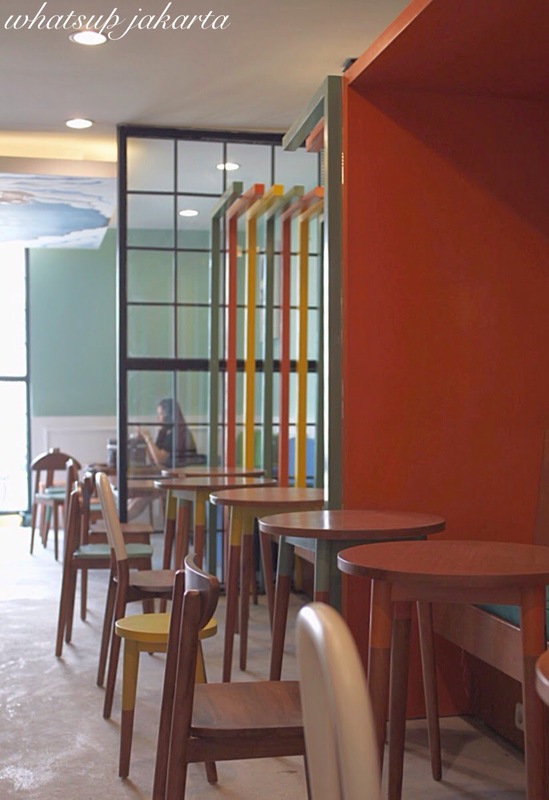 Fast forward to these past few years we see more and more young entrepreneurs, who in appearance have never been in the F&B industries, opened successful chains of restaurants with unique concepts and food. These young entrepreneurs seemed to have a crash course in the F&B world; running the floor during crowded times, maintaining the quality of the food, exploring R&D in menus and platting styles to bringing the hype up on their restaurants for a successful run. Kudos to these bold entrepreneurs that have what it takes to make it in the F&B world in their own terms. PIK area attracts these kinds of restaurants. Full-blown, thematic and conceptual eateries that has all sorts of types of food you can think of; from traditional Indonesian, Korean, Chinese to Thailand, you name it, it is available for you. 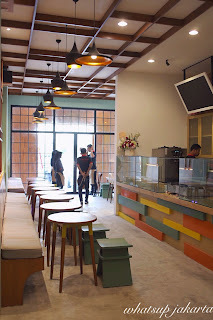 While PIK is the ‘IT’ destination for thematic restaurants, I believe it is expanding to new territories, the Elang Laut area which is a short distance from PIK. 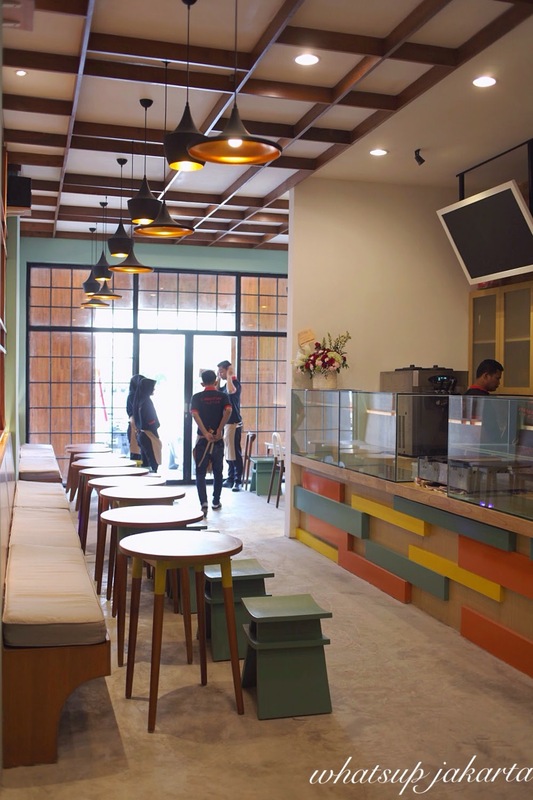 Among the newly opened eateries you will find a newly opened café named ‘ITADAKIMASU’. 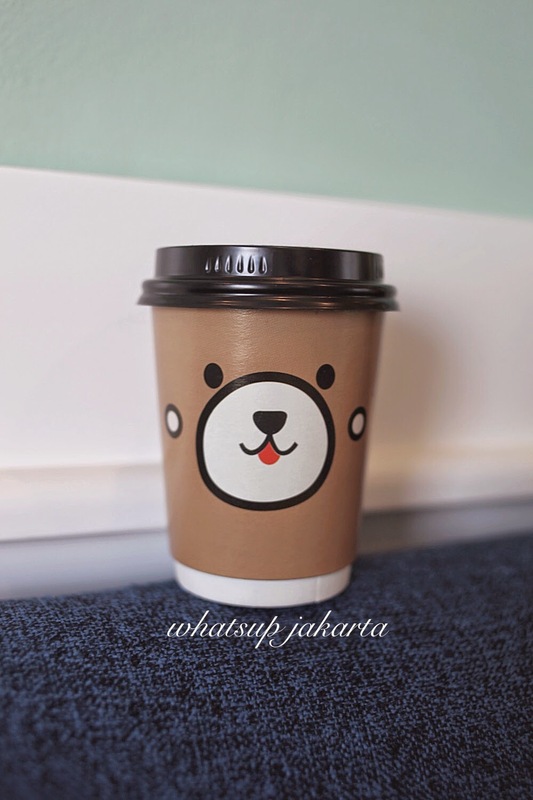 I have to thank @iirenewijaya to tag me on Instagram informing me of its existence. 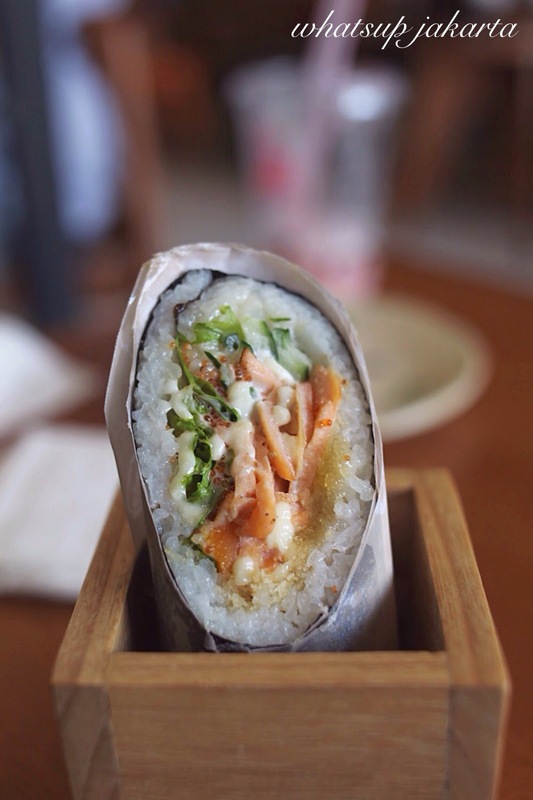 ITADAKIMASU literally means ‘I humbly receive’ in Japanese. Meals in Japan traditionally begin with that phrase to acknowledge and express gratitude for all who played a role in preparing, cultivating, ranching or hunting of the food. 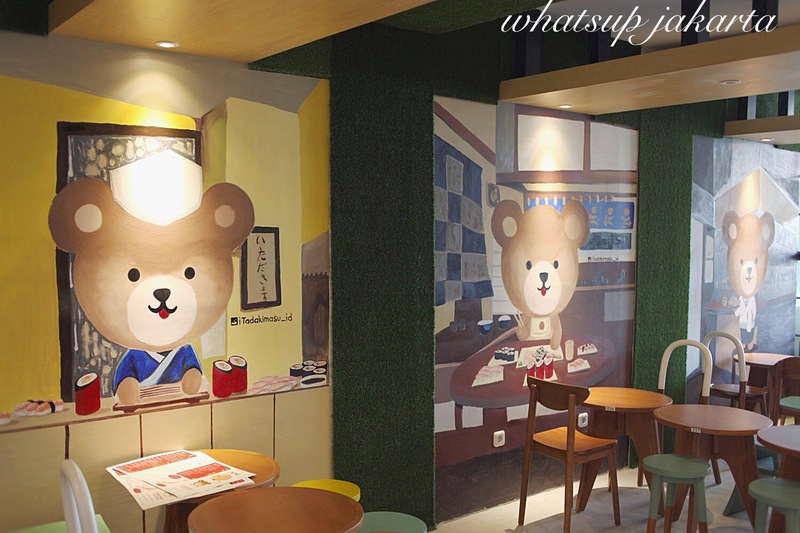 If you have not figure out what kind of food this café serves, it is Japanese, with a twist. Let’s explore what they have to offer. As you enter, friendly servers will greet you by the door and lead you to your seats. The first floor was a little bit on the plain side, however I was informed that they were still in their final touches and would be fully done with the interiors in the coming weeks as they gear up for the grand opening. 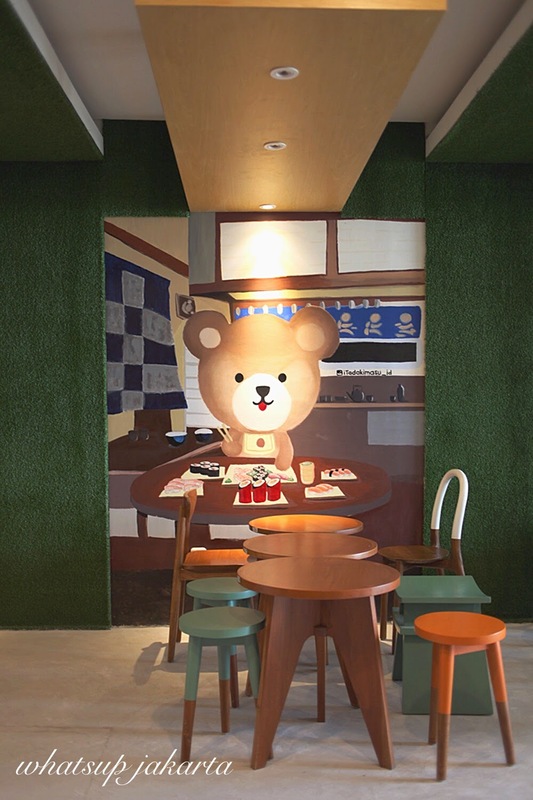 I made my way to the second floor where the interior was fully done; it was a cute bear-themed café. It has hand painted murals with colorful furnishings. What a little gem this café is. I sat by the window and was presented with the menu. 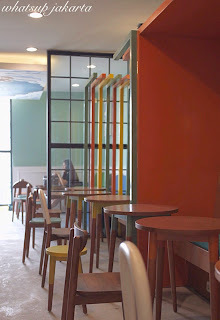 I was impressed by the variety of food and drinks they are serving; there are flavored Yakult teas, milk teas, desserts, appetizers and main courses. 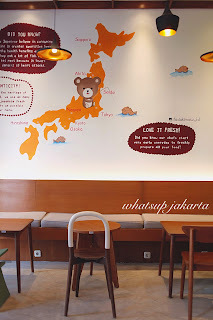 Prices range that I noticed were around IDR 30K – IDR 75K for food and IDR 10K – IDR 25K for drinks. 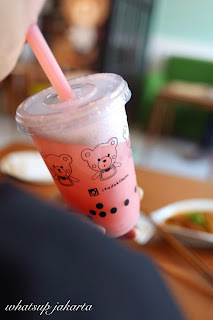 They serve lychee, orange, melon, mango and strawberry flavors for the Yakult drink. 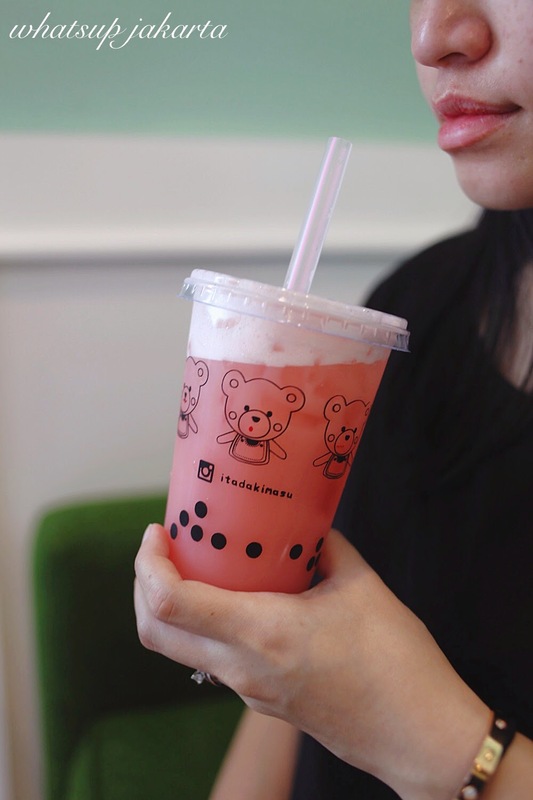 It is refreshing and light, perfectly balanced in terms of sweetness and the sourness; however, I find the drink a bit on the expensive side compared to other bubble tea places that are around this café. 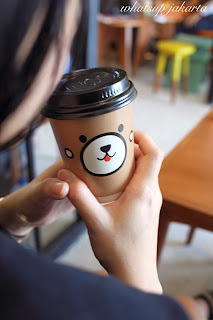 I ordered the Green tea latte that comes in this super cute cup that screams attention to have its picture taken and be placed in social medias everywhere. 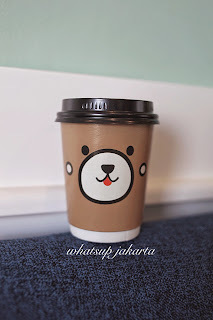 Taste wise, I have tasted better green tea latte elsewhere, but it is still good for my taste as it did not taste so milky. 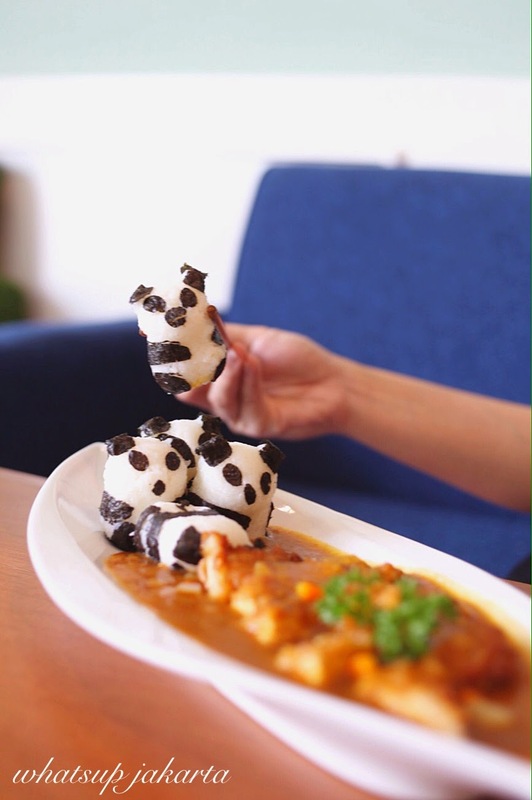 This has to be their signature dish in the menu, and possibly the cutest. It is basically chicken katsu with Japanese curry sauce in rice dish with a cute spin on its presentation. 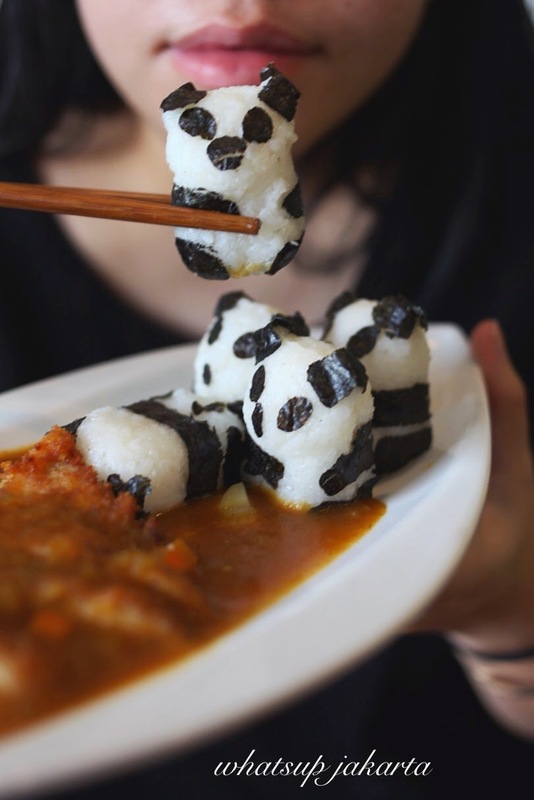 Rice comes in 5 shaped pandas with one purposely placed face down to look like it ‘swims’ on the curry sauce. 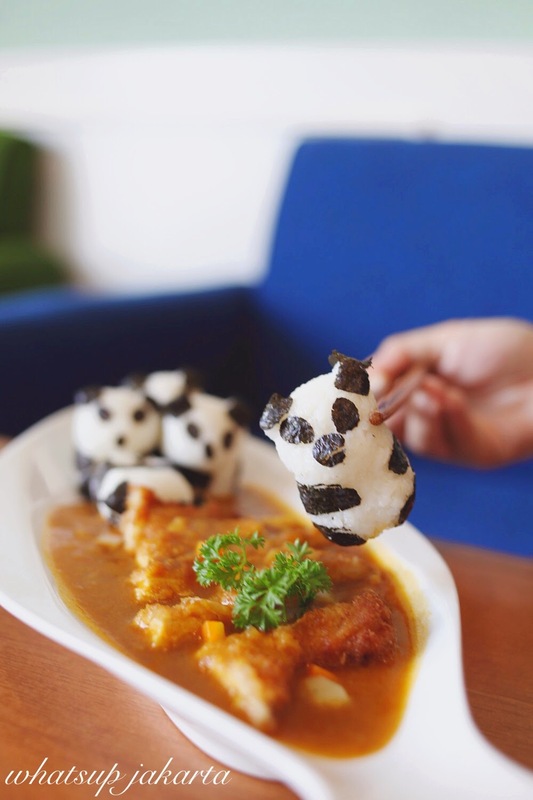 The curry is more for those who likes their Japanese curry light; it tasted sweet and non-spicy. Quite tasty and flavorful, as much as I enjoyed it, I thought the rice was abit on the dry and ‘mushy’ side, which I figured was on purpose so that they can shape the rice into panda. I guess certain people would have their preferred texture for their rice, and this was not my favorite texture. 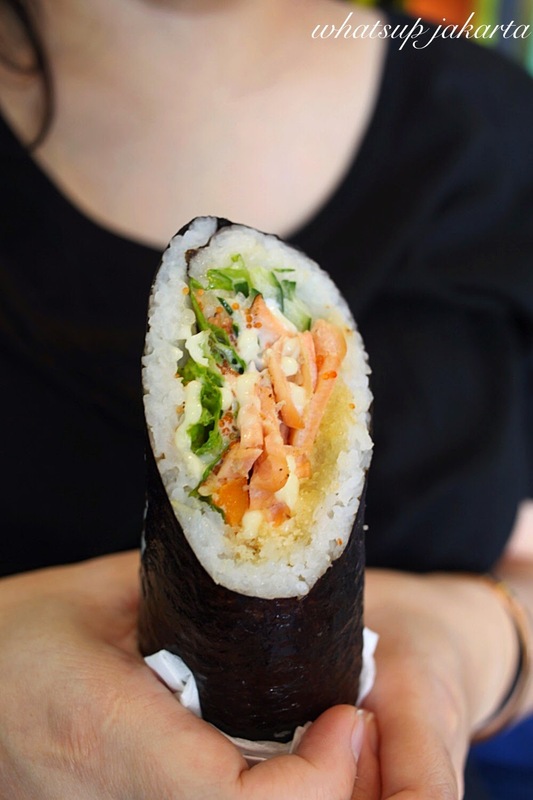 A simple and satisfying way to eat sushi with generous amount of salmon, salmon roe and tempura crumbs. It is actually one of my favorite dishes. As full as I was from all the food I had, there was always room for dessert and I for one can never resist ice cream. 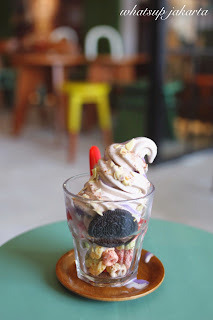 The parfait comes with soft serve taro and vanilla ice cream, chunks of oreo cookies and fruit loops cereals. Blame it on the hot weather, or maybe not, the ice cream melted within 5 minutes from the moment it was placed on the table, it melted at record speed I feel. 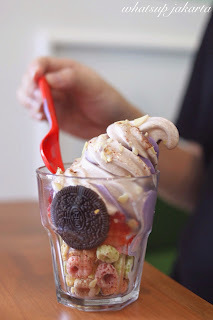 The soft serve ice cream itself was a bit too milky to my liking but the combinations of the whole parfait itself were quite unique and tasty. 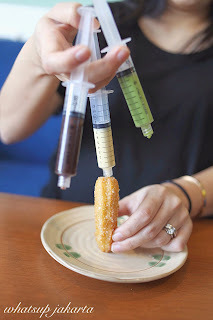 The churros was the champion dish for me! 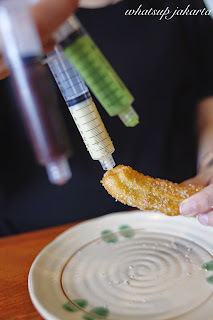 It comes with nutella sauce, matcha and cheese and I love every single one of those sauces. The dough of the churros is moist and deep fried to perfection. It was so good that I turned blind eye on the packaging that I thought was underwhelming. It is one of my highly recommended dish you should try. 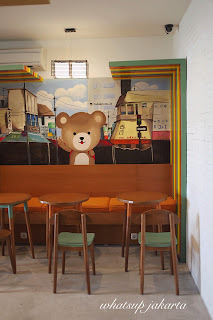 In overall, I had a pleasant experience dining at this little gem. I would come back for a second visit and bring friends to hangout at this cute place. I hope you would have a wonderful experience as I had if you do decide to give this place a try. Happy feasting!